Over the past fifteen years, advances in technology have transformed the field of survey methodology, from how interviews are conducted to the management and analysis of compiled data. 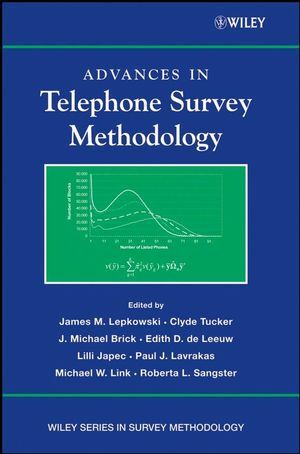 Advances in Telephone Survey Methodology is an all—encompassing and authoritative resource that presents a theoretical, methodological, and statistical treatment of current practices while also establishing a discussion on how state—of—the—art developments in telecommunications have and will continue to revolutionize the telephone survey process. Advances in Telephone Survey Methodology is an indispensable reference for survey researchers and practitioners in almost any discipline involving research methods such as sociology, social psychology, survey methodology, and statistics. 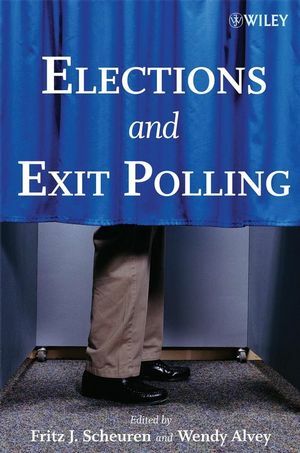 This book also serves as an excellent text for courses and seminars on survey methods at the undergraduate and graduate levels. JAMES M. LEPKOWSKI, PhD, is Professor of Biostatistics and Research Professor at the Institute for Social Research at the University of Michigan. CLYDE TUCKER, PhD, is Senior Survey Methodologist at the U.S. Bureau of Labor Statistics in Washington, D.C.
J. MICHAEL BRICK, PhD, is Director of the Survey Methods Unit at Westat, Inc., in Rockville, Maryland. EDITH D. de LEEUW, PhD, is Associate Professor in the Department of Methodology and Statistics at Utrecht University in the Netherlands. LILLI JAPEC, PhD, is Senior Statistician at Statistics Sweden. PAUL J. LAVRAKAS, PhD, is Vice President and Senior Research Methodologist at Nielsen Media Research in New York, New York. MICHAEL W. LINK, PhD, is Senior Survey Methodologist at the Centers for Disease Control and Prevention in Atlanta, Georgia. 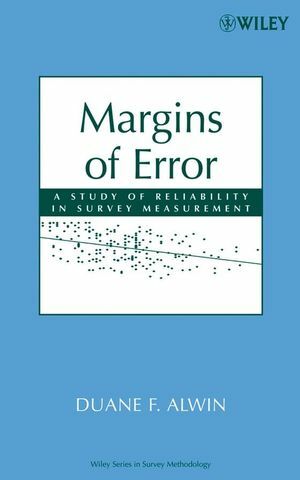 ROBERTA L. SANGSTER, PhD, is Research Statistician at the U.S. Bureau of Labor Statistics in Washington, D.C.
PART I PERSPECTIVES ON TELEPHONE SURVEY METHODOLOGY. 1 Telephone Survey Methods: Adapting to Change (Clyde Tucker and James M. Lepkowski). PART II SAMPLING AND ESTIMATION. 2 Sampling and Weighting in Household Telephone Surveys (William D. Kalsbeek and Robert P. Agans). 3 Recent Trends in Household Telephone Coverage in the United States (Stephen J. Blumberg, Julian V. Luke, Marcie L. Cynamon, and Martin R. Frankel). 4 The Infl uence of Mobile Telephones on Telephone Surveys (Vesa Kuusela, Mario Callegaro, and Vasja Vehovar). 5 Methods for Sampling Rare Populations in Telephone Surveys (Ismael Flores Cervantes and Graham Kalton). 6 Multiplicity-Based Sampling for the Mobile Telephone Population: Coverage, Nonresponse, and Measurement Issues (Robert Tortora, Robert M. Groves, and Emilia Peytcheva). 7 Multiple Mode and Frame Telephone Surveys (J. Michael Brick and James M. Lepkowski). 8 Weighting Telephone Samples Using Propensity Scores (Sunghee Lee and Richard Valliant). 9 Interviewer Error and Interviewer Burden (Lilli Japec). 10 Cues of Communication Difficulty in Telephone Interviews (Frederick G. Conrad, Michael F. Schober, and Wil Dijkstra). 11 Oral Translation in Telephone Surveys (Janet Harkness, Nicole Schoebi, Dominique Joye, Peter Mohler, Timo Faass, and Dorothée Behr). 12 The Effects of Mode and Format on Answers to Scalar Questions in Telephone and Web Surveys (Leah Melani Christian, Don A. Dillman, and Jolene D. Smyth). 13 Visual Elements of Questionnaire Design: Experiments with a CATI Establishment Survey (Brad Edwards, Sid Schneider, and Pat Dean Brick). 14 Mode Effects in the Canadian Community Health Survey: A Comparison of CATI and CAPI (Yves Béland and Martin St-Pierre). 15 Establishing a New Survey Research Call Center (Jenny Kelly, Michael W. Link, Judi Petty, Kate Hobson, and Patrick Cagney). 16 CATI Sample Management Systems (Sue Ellen Hansen). 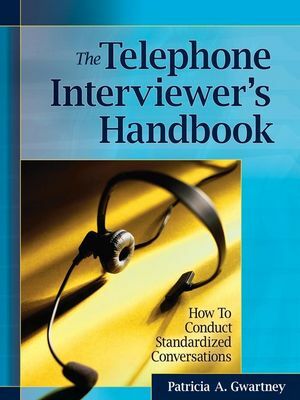 17 Measuring and Improving Telephone Interviewer Performance and Productivity (John Tarnai and Danna L. Moore). 18 Telephone Interviewer Voice Characteristics and the Survey Participation Decision (Robert M. Groves, Barbara C. O'Hare, Dottye Gould-Smith, José Benkí, and Patty Maher). 19 Monitoring Telephone Interviewer Performance (Kenneth W. Steve, Anh Thu Burks, Paul J. Lavrakas, Kimberly D. Brown, and J. Brooke Hoover). 20 Accommodating New Technologies: Mobile and VoIP Communication (Charlotte Steeh and Linda Piekarski). 21 Privacy, Confidentiality, and Respondent Burden as Factors in Telephone Survey Nonresponse (Eleanor Singer and Stanley Presser). 22 The Use of Monetary Incentives to Reduce Nonresponse in Random Digit Dial Telephone Surveys (David Cantor, Barbara C. O'Hare, and Kathleen S. O'Connor). 23 The Causes and Consequences of Response Rates in Surveys by the News Media and Government Contractor Survey Research Firms (Allyson L. Holbrook, Jon A. Krosnick, and Alison Pfent). 24 Response Rates: How have they Changed and Where are they Headed? (Michael P. Battaglia, Meena Khare, Martin R. Frankel, Mary Cay Murray, Paul Buckley, and Saralyn Peritz). 25 Aspects of Nonresponse Bias in RDD Telephone Surveys (Jill M. Montaquila, J. Michael Brick, Mary C. Hagedorn, Courtney Kennedy, and Scott Keeter). 26 Evaluating and Modeling Early Cooperator Effects in RDD Surveys (Paul P. Biemer and Michael W. Link).